If you have ever rubbed a balloon on your head, you will know exactly what is going to happen in this clip. 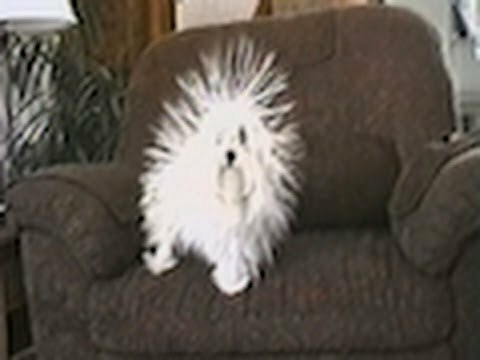 Watch as this dog’s owner rubs her blanket all over him, and his hair becomes static. The other dog’s reaction is hilarious, the static hair is long and makes him look funny. This dog is going to have a bad hair day thanks to his owner.